Whatever the Customer Wants: That legendary American industrialist, Henry Ford, who brought automotive transportation to the masses, was famous for many things, among them one of the best known quotes of the 20th century. Leo has introduced a new production strategy at the small but progressive, Trilo plant which has revolutionised the way in which the company operates which now offers a mind-numbing number of opportunities to its customers. A customer can, indeed, have anything her or she wishes and, while choice can sometimes bring a myriad of headaches, in this instance it couldn’t be simpler. The on-line configurator enables customers to go on line and create the exact machine they need, following a path through the options and preventing anything emerging from the end process which is not workable, or the most cost effective way in which to fulfil the task required. With support, if required, from, in the UK, Support Managers Jon Proffit and Jeremy Vincent, the process could not be more simple. Well, that’s the great thing. A computerised tracking system means that every phone call, from the initial tentative enquiry, through to “Yup, we’ve had a meeting and decided to order.” Is tracked and a percentage of the chances of the order coming through given from 10% through to 90% – there can always be a slip between cup and lip! – so preparations can be made for that order’s completion in the shortest possible time. A one million euro restructuring of the plant is currently underway, and due to be completed by March. This will bring added benefits to and see increases in efficiency and bring the available working man hours up from 50,000 per annum to 60,000 per annum thus reducing lead times, for a new, built-to-spec machine, to just three weeks. It has meant that Trilo no longer need to hold huge amounts of stock as, because every order or potential order, is on the system, they only hold, or produce, what they need to meet those orders. 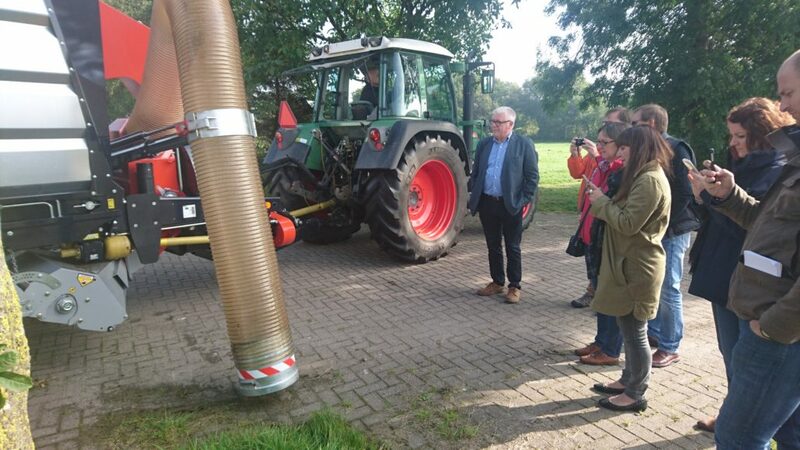 This has also been made possible by the radical, and some may have said risky, decision made by Commercial Director, Peter van Mispelaar, to require payment in advance for the machines. The rationale being that the machine has been built to a specification which is fit for a particular customer and unlikely to be perfect for another customer and therefore not as saleable. That new approach has been embraced by customers and meant that Trilo now doesn’t suffer from the cash flow issues which can impact upon so many business as they await payment to cover costs already incurred. To the machines themselves. Well, they’re pretty good too. Trilo specialises in vacuum brushes and blowers which are just as at home in the urban roads and pavements of the city as the wide open and wooded parks and golf course. The company was launched by Leo’s father and two uncles – hence Tri Lo – and Leo grew up working in the, at the time much smaller plant. With his future apparently mapped out he went to university to learn the business skills which would complement the engineering capabilities provided by the rest of the family, including his own brother. 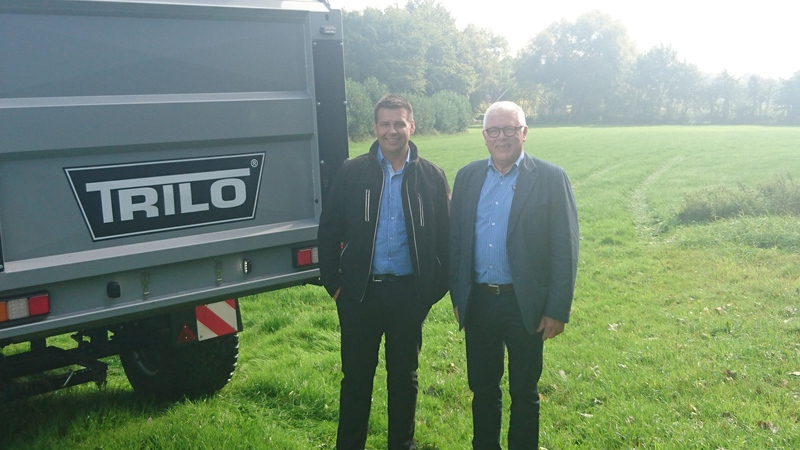 Just as he emerged from university armed with the skills to take Trilo to the next level the company was sold and rather than carry on as one of the family dynasty Leo continued to work for Trilo under the new ownership. Ultimately Leo took the heart-breaking decision to leave the company which had been a part of his life for such a long time. “When I closed the door behind me for the very last time I thought that was it. I would never be back,” explained Leo, as he hosted a group of UK-based trade press, recently. However, some of the reasons that Leo felt uncomfortable working under the new management came to a head and Trilo went bust. 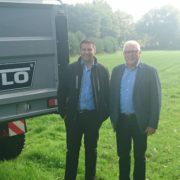 It was at that point that Leo and Peter put together a business proposition which saw them return to Trilo as the new owners and since then the company has not looked back. Leo’s business acumen, coupled with his intense devotion to a company which is literally in his blood, it is making huge strides and its innovative manufacturing and sophisticated on-line systems are pointing to a very bright future for the company. So while Leo may still be in Henry Ford’s shadow when it comes to coming up with memorable quotes, he is well ahead of the great man when it comes to giving the customer what he or she wants.